Ostensibly, this is a site about television gone by, and the memories it brings. Sometimes, however, it’s not a show, but a person, who triggers the memory (and the celebration thereof). This is one of those weeks. The show is Make a Wish, the star is singer/songwriter Tom Chapin, and much of the music for the series was written by Tom and his brother, Harry Chapin. 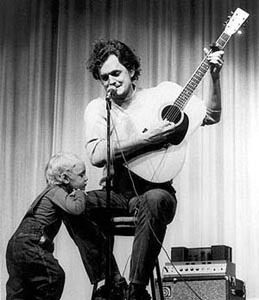 And Harry Chapin was, quite simply, one of the most incredible human beings who ever lived. First, the show. Make a Wish ran a few seasons, more than the typical show found on this site. But even though it ran from 1971-1976, it was pretty much unnoticed by a mass audience. Even for a series that ran for many years, there were only 47 half-hours made, roughly a season’s worth of shows for a typical hour-long drama. Yet Make a Wish was hardly an ordinary show, in any way. The reasons for this are pretty straightforward, but that didn’t stop the show from winning both an Emmy and a Peabody award. “Make a wish, have a ball. Dream a dream, be it all. If you want it, you can get it. But to get it, you’ve got to want it. Just let go, fly high!!!! The main audience for Make a Wish was children, and it aired originally on Saturday mornings before being moved to an even less viewed timeslot on Sunday mornings. The show was produced by the ABC News division, so it wasn’t judged on the number of viewers it achieved. ABC needed something to point at as a “positive educational experience” for kids and, for a number of years on television, Make a Wish filled the bill. No worries, Tom. Make a Wish didn’t talk down to kids as much as it tried to raise them up, exploring concepts without the “comedy relief” seen in previous children’s shows. While it was aimed at young viewers (and therefore still fun), it respected them as well, aiming at their curiosity instead of trying to sneak knowledge past their laughter. Each segment of Make a Wish (two were featured in every half-hour episode) centered around a single word, like “ice” or “shoe”. 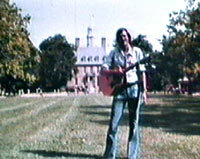 The term for each segment was introduced by Tom Chapin in various locations (such as Stonehenge for “ring”). Tom would, after the introduction, ask the audience to think about what it would be like to experience the concept, to “Make a Wish”. Audiences were then treated to a free-association session using the word in many different contexts. Narrated by Tom, these associations were presented with animated and filmed depictions. For example, the “bull” segment showed everything from Teddy Roosevelt’s Bull Moose party to the concept of Bull and Bear traders on the stock market in about five minutes! Along with the animation segments, the words were often used as the centerpiece in musical numbers, created especially for the show by Harry Chapin and sung by Tom. While the animated segments were sometimes rather fast-moving and almost frantically funny, the music presentations were more thought-provoking in comparison. 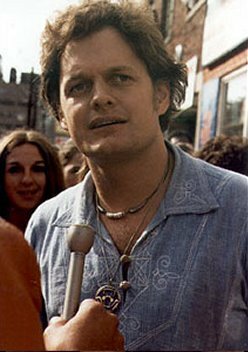 Harry Chapin’s traditional concert-ending song “Circle” came from Make a Wish, using the word “circle” as a metaphor for the days of our life, our worlds, and the people we surround ourselves with. Make a Wish ran for many years, although there weren’t always that many new segments created for each season. After the first year or so, episodes were packaged with both new and old segments, since children’s television series (especially dating back to the ’70’s) quite often used reruns in large number, especially since most (if not all) of the references were relatively timeless, and the kid audiences were more tolerant of repeats than adults were. The series was moved to Sunday mornings from the (then) traditional cartoon Saturday morning slot, where it found a home for many years. 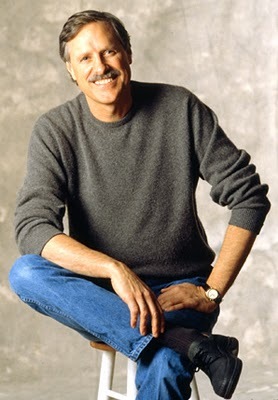 The show was rejuvenated somewhat in its final season when ABC News used it as part of the network’s Bicentennial celebration of the United States. Make a Wish developed something of a patriotic theme, visiting many of the historical landmarks associated with the growth of the country. Unfortunately, children’s television, especially when made by the News division, isn’t a priority. After the Bicentennial ABC decided its news budget was better spent elsewhere, even though Make a Wish was a relatively inexpensive show to produce. 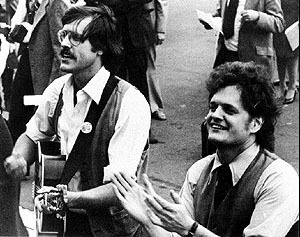 The series aired the last of its episodes near the end of the US birthday celebration and, although its never been released on video, it is still remembered by those of us who grew up during those years and were guided by the words and music of Tom and Harry Chapin. Tom Chapin has remained a champion for children everywhere to this day. He continues to perform concerts aimed at parents and their families, with music touching the lives of both. His website has many of his award-winning recordings available as well as lists of touring performances and information about Make a Wish and his other endeavors. Harry Chapin is altogether another story. Harry is probably the more famous of the two, if only for his huge multi-platinum single “Cat’s in the Cradle”, an anthem for fathers and sons (and now grandfathers, since the song was originally released in the mid-’70’s). Harry had an amazing career, writing and performing, and was even nominated for an Oscar at one point for filmmaking (a documentary on, of all things, boxing champions). But on an early tour of Africa, Harry saw the devastation that simple hunger can bring to a child, a family, a community. He was so moved by the experience that he became a tireless advocate for the hungry all over the world. He helped form WHY (World Hunger Year), a group devoted to both feeding the hungry and to developing strategies and programs that would help those in need find a way to ultimately help themselves; to make everyone in the world safe from the danger of lack of nourishment. 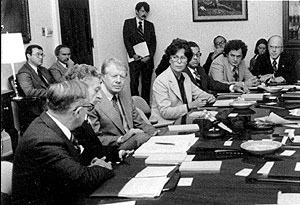 Carter's Commision on World Hunger, with Harry. Harry wasn’t perfect, by any means. But he did as much, if not more, for people around the world during his brief life than many others do in decades. Half of his concerts each year were benefits, and he supported numerous arts organizations in addition to his work on hunger issues. If there was a charitable cause that Harry thought he could help, then he was likely there, ready to perform. He influenced others to do the same. He was great friends with the legendary Harry Belafonte, who helped spearhead the “We Are the World” and “Hands Across America” charity events in the ’80’s, in part to continue Chapin’s legacy. Harry was instrumental in numerous other realms, from food for the hungry to arts for the soul, always seeking the chance to influence people to help their fellow human beings. Whether the reason was political, social, or just connecting one-on-one, Harry’s voice and music rang out as a clarion call to everyone who could hear. July 16, 1981, almost exactly thirty years ago today, we were to learn how short that opportunity would be. Harry was on his way to perform at another fundraiser, this time at a Long Island venue, when he was involved in an automobile accident. It’s unknown whether he suffered some type of medical problem before or after the accident, but he was unable to be revived, and the world lost a great talent and a greater human being that day. Speeches were made mourning Harry, and more than a few tears were shed. He was later voted a recipient of the Congressional Gold Medal for his humanitarian work and his music, one of the highest civilian honors given by our country. Harry had rubbed elbows with Kings and Presidents, but never, ever forgot that his audience was just regular people, and that’s what made his story-songs ring so true to so many. Unlike far too many supposedly “great” men and women, he always remembered what life was like for the less-privileged, the hungry, the extraordinary “ordinary” people who make up so much of our world. "But to get it, you've got to want it"
If I could simply Make a Wish now, it would be to see what kind of world we would have if Harry had been around a bit longer. But then, that might have missed the point. Because Harry, and Tom, and the idea of Make a Wish wasn’t just to dream a dream, it was to be it all. These are all people who dreamed, yes, but then they went out and did all the things necessary to turn those dreams into reality, and that’s what more people need to be inspired to do today. That’s the legacy we lost with Harry’s death, and I know that, this weekend, part of me will remember a bit more strongly all those words he sang, and maybe, just maybe, a bit more of those dreams can find life in me. 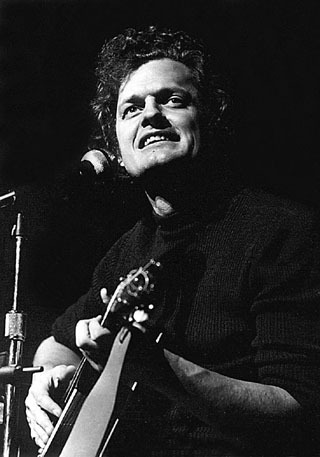 All these years later, Harry Chapin is still one of my favorite artists of all time. Not just for his music, of course, but for his message of life, and how to care about each other. If all my life’s a circle… then what we had once, we’ll have again. But, for now, I just wish Harry was still here. Final aired episode: There’s some question about this. Although the show ran until September of 1976, it’s uncertain when the last actual original segment first debuted, especially when many of them were interspersed with older segments as part of re-edited episodes. Aired at Friday 8/7 Central? Only if you count 8 am instead of 8 pm, Saturday and Sunday mornings for its run, although at least one source says Friday mornings for a time… which I find odd, but many stations ran the show at a different time than ABC “aired” it, so they could run their own programming in its place.